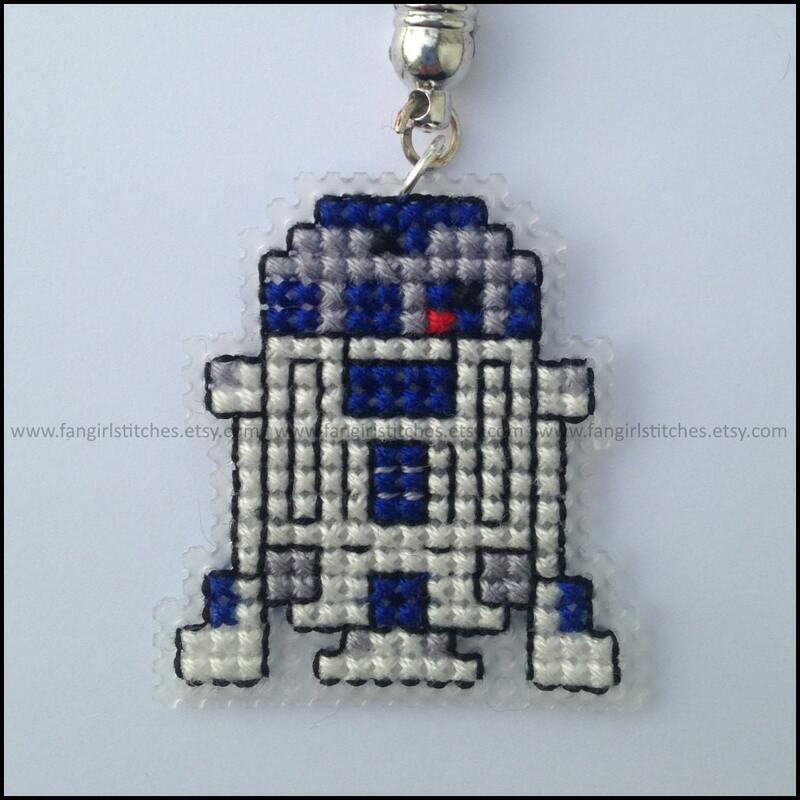 Show your love for one of the greatest sci-fi series out there with your own R2-D2 key-ring! 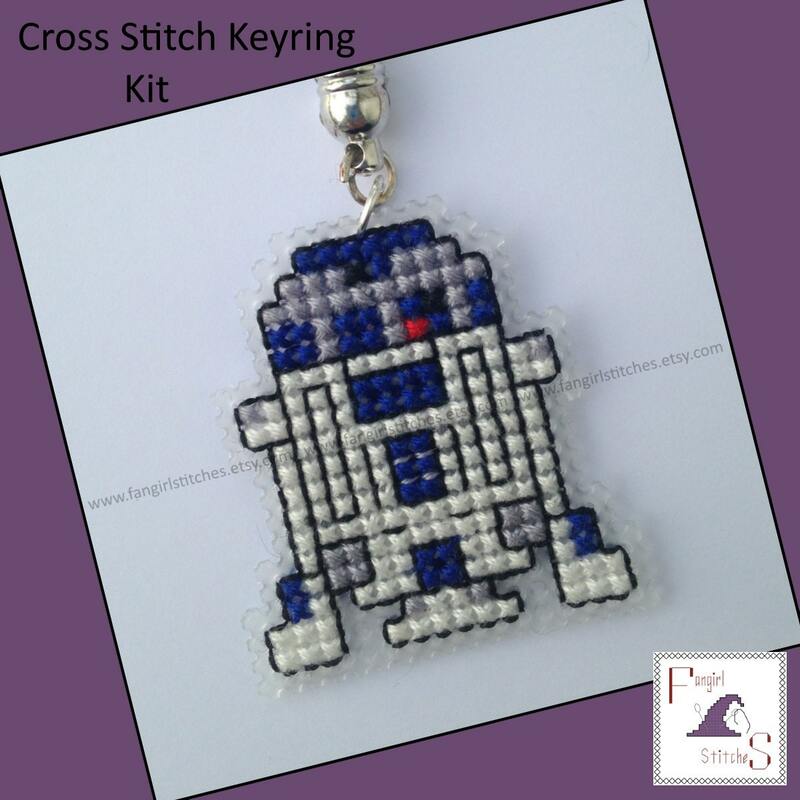 This kit contains everything you need to make your own R2-D2 key-ring, including pattern, thread, needle, jewellery findings, and a detailed step-by-step guide. 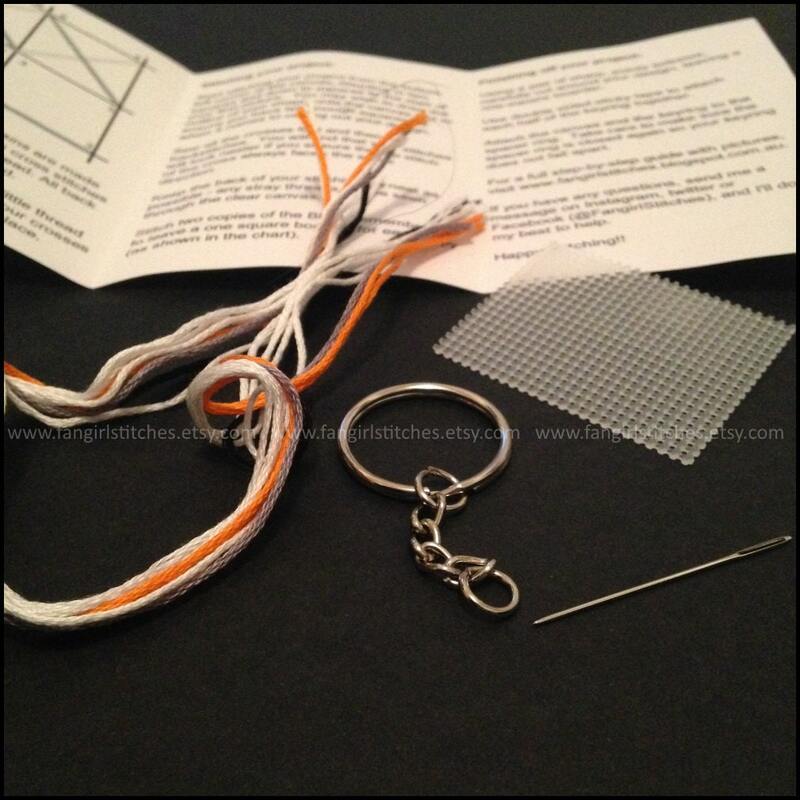 Stitched on plastic canvas, the finished key-ring measures approximately 2 inches.